Death is never convenient. No one is ever prepared to deal with the grief that comes from losing a close friend, family member or pet. However, life must go on and one way or another survivors deal with their loss. Here’s a quick story about a woman and how she chose to celebrate the life of her deceased pet. Everyone loves their pets. Monica was especially in love with her loyal companion, Max. Max was a unique combination of German Shepherd, Wolf, and Husky. His piercing blue magnetic eyes were the first thing she noticed about her puppy when she adopted him ten years ago. Throughout the years, Monica kept her best friend by her side everywhere she went. While driving along the highway in her Toyota Prius, Max held his head out the window in the backseat with his tongue flapping in the wind. They would visit the dog park where he could run and socialize with other dogs. Weekends would come and Max joined Monica for picnics, cookouts, and camping trips. At ten years old, Max was still happy and healthy – until one day, the unthinkable happened. Monica was inside the house and Max was playing within the fenced-in yard. When the lawn company left for the day after trimming her grass, they left the door open and Monica did not notice. In a blink of an eye, Max got onto the road and was hit by a large truck. Immediately, Monica came rushing out of the house when she heard that horrible sound. His injuries were severe and he died in Monica’s arms right there on the side of the road. Nothing could have prepared her for this type of loss. Monica was not ready to let go of her best friend. In the face of death, options emerged regarding what she wanted to do for his final arrangements. She choose cremation and to keep the ashes in an urn. After she had Max cremated, she came across a company online that specialized in turning cremated ashes into gems. For Monica, the decision was immediate and clear. She decided to turn cremated ashes into gems so she could have a lifelong keepsake that honored his memory. Monica is not alone in her decision. Worldwide, people are choosing to have hair or ashes turned into gems through companies that offer high-quality laboratory gemstones. Every gemstone that is created from the cremated ashes or hair of a loved one, creates an everlasting connection between the departed and loved one. Because the carbon that is extracted from the cremated ashes or hair of a loved is unique and contains the individual’s DNA, each gemstone will have its own story to tell and represents a new beginning. When you turn cremated ashes into gems, you will have your beloved spouse, family member, friend, or pet with you at all times if you choose. You can treasure your unique keepsake and it will become a family heirloom passed down from one generation to the next. At Heart In Diamond, we turn cremated ashes and hair into diamonds only – but we do have a wonderful selection of colored diamonds that bring to mind gorgeous gemstones. 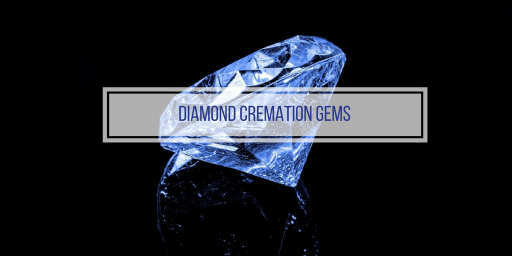 However, if you are looking to turn cremated ashes into gems – Cremation Solutions provides this unique service. Their process turns the remains into an original crystal gem, available in a wide variety of colors. Cuts offered by this company include round, brilliant, and cushion along with other customized options. Your gem can be set in sterling silver, 14-karat yellow gold, or 14-karat white gold. Visit their site to learn more about turning ashes into gems.